One thing I enjoy about reading Brennan Manning’s books is his authenticity. He reveals more of himself than sometimes we even want to know. He shows us that he, like us, also has an ugly side. 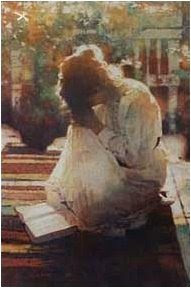 Whatever else it may be, prayer is first and foremost an act of love. Before any pragmatic, utilitarian, or altruistic motivations, prayer is born of a desire to be with Jesus. His incomparable wisdom, compelling beauty, irresistible goodness, and unrestricted love lure us into the quiet of our hearts where he dwells. To really love someone implies a natural longing for presence and intimate communion. When the Crucified One says, “I’m dying to be with you,” and then whispers, “Will you die a little to be with me?” my sluggish spirit is stirred (unfortunately not always) to prefer the pleasure of his company to whatever trinket of creation is mesmerizing me at the moment. The church and the Bible are not substitutes for God; they are means through which we make conscious contact with Jesus Christ. They are the place of encounter with the compassionate One, who reveals himself in sundry ways and diverse temperaments.